It’s September, summer holidays are over, the nights are getting darker and the weather is getting well rubbish. 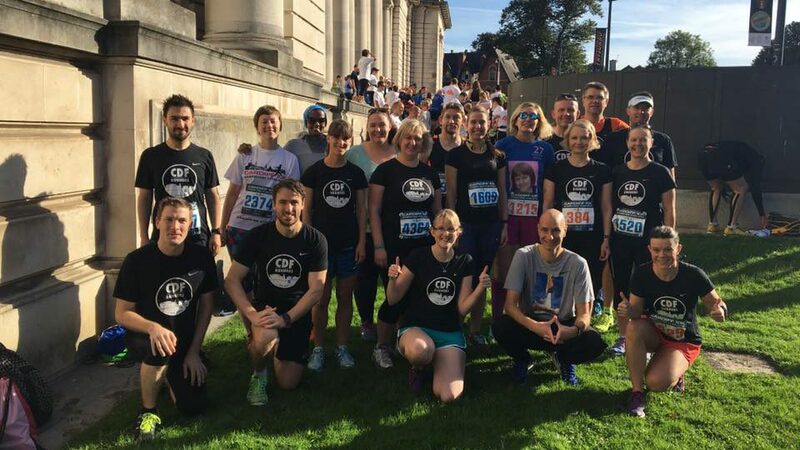 However September always means one thing: The Cardiff 10k. It was my fourth time running this race, a flat perfect PB course, popular as good prep for the Cardiff Half Marathon in October. Popular was the word today as I arrived at City Hall to find chaos. People taking selfies, doing lunges and a lot of nervous people.  Somehow out of the thousands of runners in a tiny space I found the CDF crew and we organised ourselves for a quick group photo. Then it was a race against time to make sure my bag was dropped (the baggage queue was insane) and try and get to the toilet. “Are they nice toilets? I’ve never been in one before” the woman behind me asked in the toilet queue. Her face started to screw up as I reminded her how many people have probably used them before her. I then saw Ruth come out of the toilet who quickly said “buzzing”, not giving the lady behind me much reassurance. I quickly made my way over to the start line, managing to get into the middle using the age old technique of “sorry, my friends over there”. I managed to find Ruth and Liz who were running their first 10k, Maryam (second) and Gaz (marathon runner and triathlete). The gun went and we quickly jerked forward before coming to a direct stop. That’s where the problems started..
Firstly, even though the bibs are coloured due to finish time, there were no actual pens so slower runners were right up at the front with the elites. It took ages to cross the start line only to lead into a massive bottleneck where I spent much of the first 1k trying to take over other runners. The crowd support was phenomenal, running past Cardiff Castle I also saw Lily and Andrew taking photos of the CDF Run Crew. By this I mean, Lily would shout “quick quick it’s…” and Andrew would point and snap. It was lovely to see familiar faces so early on. The route carried on turning right onto Cathedral Road and it was only then I managed to get some breathing space at the 3K mark! The route carried on into the park which provided some much needed shade – the sun was so intense! After a quick right turn onto Western Avenue we headed back into the park. Just before 5k, there was a much needed water stop. I quickly chucked half the bottle over my head and down my back to hear girls behind me shout “let’s do that” then copying me and screaming. I wondered whether to take any water on but had Mike’s age old advice ringing in my ears “you don’t need water for a 10k” so decided not to. The next 2k took a nice pretty flat route through the park, past the Street Food Circus (the smells were amazing) before coming out of the park back onto the main street. Not before eagle eyed Debbie shouted my name and quickly took my photo! Again back past the castle (around 7k) where I saw Lily and Andrew again and lots of other supporters. My left leg was screaming stop running, stop running this hurts! I tried to ignore it, wishing I had music to take my mind off the pain (No headphones allowed due to not every road being fully closed). We took a sharp right then looped back on ourselves before heading into the park – nearly 8k. Again, the support was amazing, the route familiar and scenic. I heard the clock ring 11 which meant I was not at the time I wanted to be. Luckily at this point I ended up behind some Cwm Ogwr Runners with the one runner playing Don’t Stop Me Now by Queen through her phone. They could not have come at a better time, they all ran together singing the lyrics and keeping each other going. One of their members was really struggling and the ringleader was shouting “come on Sarah, we’re not stopping now!”. Her enthusiasm was infectious and I ended up running with them. The leader told me how she was running a marathon and was just looking at it as ’13 water stops’ something I had never even thought about. Turning the corner, I could finally see the finish. My leg was killing me by now and I felt really emotional for some reason. I could see the clock 1:03 and I had a good 400m to go. Looking around I saw everyone else giving it everything so I started to sprint. Again I heard CDF supporters “Go on SIAN”. I started my sprint finish and promptly sprinted over the finish at 1:09 (I didn’t start until 3 minutes in), not near the target I wanted. I promptly burst into tears, be it because of the pain, because I thought I wouldn’t finish or because it was over. Walking over to CDF supporters Paul and Mik I then continued to sob. After pulling myself together I found my boyfriend and joined the lengthy baggage queue. Speaking to a marshal about how busy it was he informed me that everything would be changing next year. New course, new meeting point, new everything. I spoke to Maryam who said that Ruth and Liz had crossed the line completing their first ever 10k and felt so proud of them. This was the fourth year of running the Cardiff 10k and if I’m honest probably my least favourite year. Whether that was because I was disappointed with my time or because of the chaos and crowds I’m not sure. However, one thing I do know is that if you are looking for a flat, well supported race this is it. Hopefully sorting out the course will stop all the crowd/runner problems. I’m sure I’ll be back next year… probably… well it is tradition. Next PostNext Support Deano the Dementiasaurus!